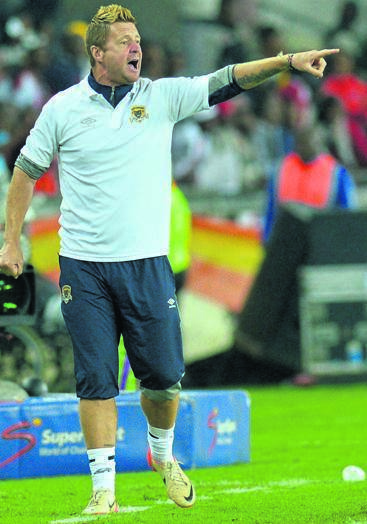 BLACK Leopards coach Dylan Kerr has warned his players to pull up their socks or get used to the idea of playing in the National First Division (NFD) next season. The PSL rookies got deeper into the relegation quagmire when they lost 2-0 to log leaders Orlando Pirates at Orlando Stadium on Wednesday night. The Venda-based side have a mammoth task in a bid to retain their Premiership status. Leopards are sitting in 12th position on 25 points, with six games to play and only one point separate them from Chippa United, Baroka FC and Free State Stars, while they are five points ahead of bottom club Maritzburg United. What makes Kerr angry is the fact that his charges shared jokes with Bucs’ players after the game as if they are victorious. Kerr said his players don’t deserve any incentives to avoid the drop. “Why should they get an incentive? To stay in the PSL is their only incentive, not money,” he said. Lidoda Duvha are expecting another baptism of fire when they host wounded Kaizer Chiefs in their sold-out league clash at Thohoyandou Stadium tomorrow (3pm). It doesn’t rain but buckets for Leopards as they will also face title chasers Bidvest Wits, Mamelodi Sundowns and Cape Town City in their remaining games, while Maritzburg are also eyeing three points at their expense to ease their relegation troubles. But Kerr hopes to fix mistakes that also cost them to suffer a humiliating 3-1 defeat to neighbours Polokwane City last weekend. “I am disappointed with the way we conceded goals in the last two games. But I won’t change how we play. I will have two days to fix the mistakes before we play Chiefs,” added Kerr.